Smart classic attire, with a hint of urban casual. 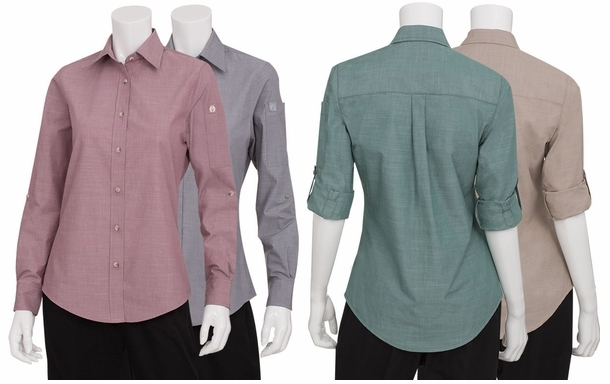 This button-up, oxford collar shirt is brought into the 21st century in some hip new hues like dusty rose, green mist, soft charcoal and earthy ecru. 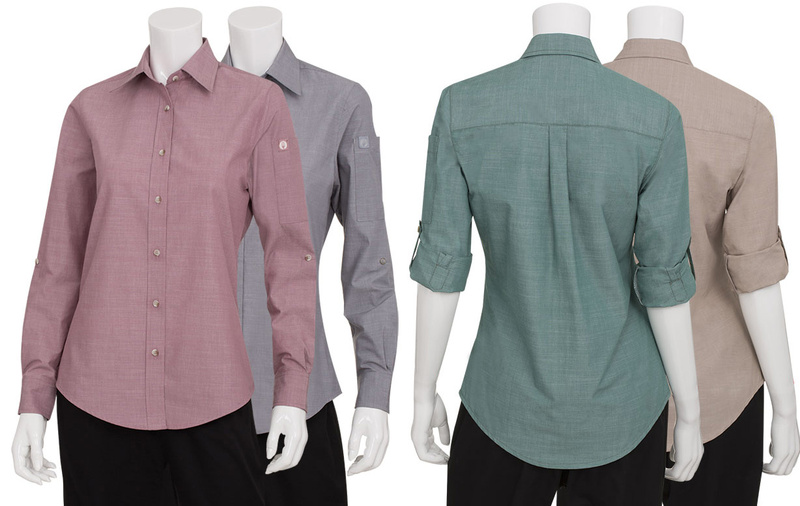 Your servers will enjoy the casual and functional roll-up sleeves with a button-up tab.